Go HERE for our photos by Josh Wong and tag yourself and your friends! Last night, guests headed Uptown to the David H. Koch Theater at Lincoln Center to celebrate women at the Brazil Foundation XII Gala Benefit Dinner. With performances by Baby do Brasil, Bebel Gilberto, Capoeira Nagô, and more, the gala drew in a large and stunning group of people. Honorees included Anália Timbó, Founder of Vidança, Brigitte Louchez, Coordinator for Barraca da Amizade, and Maria de Lourdes Braz Vieira, Founder of Casa de Santa Ana. Morena Baccarin served as the Master of Ceremonies and posed for pictures with guests throughout the evening. Click through the slideshow to see more photos from the evening. 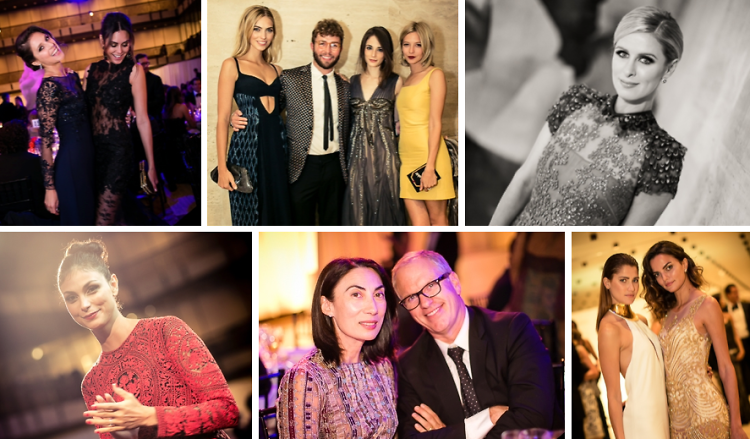 Who was there: Guests included Patricia Lobaccaro, Carlos Souza, Baby Consuelo, Bebel Gilberto, Ana Beatriz Barros, Morena Baccarin, Inga Rubenstein, Juliana Martins, Nicky Hilton, James Rothschild, Annabelle Dexter Jones, Derek Blasberg, Anh Duong, Sofia Sanchez, Tyler Winklevoss, Donald Robertson, Laura de Gunzburg, Jeffrey Jah, Lorenzo Martone, Guisela Rhein, Leona Forman, Ingrid Silva, Marcus Vinicius Ribeiro, Victoria Silvstedt, Zani Gugelmann, Jessica Joffe, Lisa Marie Fernandez, Daniela Atwell, Fidelma Woodley, Gabi Rebeschini, Iracilda Lichtinger, Kadu Dantas, Karin Dauch, Luciana Curtis, Marivaldo dos Santos, Ana Lucy Gentil Cabral Peterson, Barbara Fialho, Gillian Sagansky, Julia Faria, Katie Ford, and many more.